The Socialist Party is a social-democratic French-speaking political party in Belgium. As of the 2014 elections, it is the second largest party in the Belgian Chamber of Representatives and the largest Francophone party. The party is led by Elio Di Rupo, who was Prime Minister of Belgium from 6 December 2011 until 11 October 2014. The party supplies the Minister-president of the French Community, and the Brussels-Capital Region. In the German-speaking community, the party is known as the Sozialistische Partei (SP). The Parliament of Wallonia is the legislative body of Wallonia, one of the three self-governing regions of Belgium. The parliament building, the former Hospice Saint-Gilles, is situated in Namur, the capital of Wallonia, at the symbolic confluence of the Meuse and the Sambre, the two main rivers of the most inhabited parts of Wallonia, the Sillon industriel. On the other side of the Meuse, facing the Parliament, is the Élysette, the seat of the Walloon government. Liège is a parliamentary constituency in Belgium used to elect members of the Walloon Parliament since 1995. It corresponds to the Arrondissement of Liège. 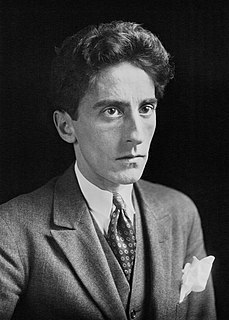 Jean Maurice Eugène Clément Cocteau was a French poet, writer, designer, playwright, artist and filmmaker. Cocteau is best known for his novel Les Enfants Terribles (1929), and the films The Blood of a Poet (1930), Les Parents Terribles (1948), Beauty and the Beast (1946) and Orpheus (1949). He was described as "one of [the] avant-garde's most successful and influential filmmakers" by AllMovie. Jean-Michel Basquiat was an American artist of Haitian and Puerto Rican descent. Basquiat first achieved fame as part of SAMO, an informal graffiti duo who wrote enigmatic epigrams in the cultural hotbed of the Lower East Side of Manhattan during the late 1970s, where hip hop, punk, and street art cultures coalesced. By the 1980s, his neo-expressionist paintings were being exhibited in galleries and museums internationally. The Whitney Museum of American Art held a retrospective of his art in 1992. Jean-Paul Charles Aymard Sartre was a French philosopher, playwright, novelist, political activist, biographer, and literary critic. He was one of the key figures in the philosophy of existentialism and phenomenology, and one of the leading figures in 20th-century French philosophy and Marxism. His work has also influenced sociology, critical theory, post-colonial theory, and literary studies, and continues to influence these disciplines. Jean Grey-Summers is a fictional superhero appearing in American comic books published by Marvel Comics. The character has been known under the aliases Marvel Girl, Phoenix, and Dark Phoenix. Created by writer Stan Lee and artist Jack Kirby, the character first appeared in The X-Men #1. The Phoenix Force is a fictional entity appearing in American comic books published by Marvel Comics. The entity has bonded with other characters, and often used the alias Phoenix while bonded. Jean-Luc Godard is a French-Swiss film director, screenwriter and film critic. He rose to prominence as a pioneer of the 1960s French New Wave film movement. Jean-Claude Camille François Van Varenberg, professionally known as Jean-Claude Van Damme and abbreviated as JCVD, is a Belgian actor and retired martial artist best known for his martial arts action films. His most successful of these projects include Bloodsport (1988), Kickboxer franchise (1989-2018), Cyborg (1989), Lionheart (1990), Double Impact (1991), Universal Soldier franchise (1992-2012), Nowhere to Run (1993), Hard Target (1993), Timecop (1994), Street Fighter (1994), Sudden Death (1995), The Quest (1996), Inferno (1999), Replicant (2001), In Hell (2003), Until Death (2007), JCVD (2008), The Expendables 2 (2012), Dragon Eyes (2012), Kung Fu Panda 2, and Kung Fu Panda 3 (2011–2016). Billie Jean King is an American former World No. 1 professional tennis player. King won 39 Grand Slam titles: 12 in singles, 16 in women's doubles, and 11 in mixed doubles. She won the singles title at the inaugural WTA Tour Championships. She often represented the United States in the Federation Cup and the Wightman Cup. She was a member of the victorious United States team in seven Federation Cups and nine Wightman Cups. For three years, she was the United States' captain in the Federation Cup. Jean Genet was a French novelist, playwright, poet, essayist, and political activist. Early in his life he was a vagabond and petty criminal, but he later took to writing. His major works include the novels The Thief's Journal and Our Lady of the Flowers, and the plays The Balcony, The Maids and The Screens. The Prix de Rome or Grand Prix de Rome was a French scholarship for arts students, initially for painters and sculptors, that was established in 1663 during the reign of Louis XIV of France. Winners were awarded a bursary that allowed them to stay in Rome for three to five years at the expense of the state. The prize was extended to architecture in 1720, music in 1803, and engraving in 1804. The prestigious award was abolished in 1968 by André Malraux, the Minister of Culture. The Bibliothèque nationale de France is the national library of France, located in Paris. It is the national repository of all that is published in France and also holds extensive historical collections. 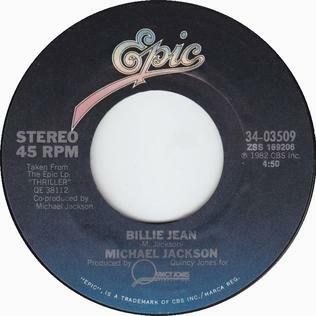 "Billie Jean" is a song by American singer Michael Jackson. The track was released by Epic Records on January 2, 1983 as the second single from his sixth studio album, Thriller (1982). It was written and composed by Jackson, who produced it with Quincy Jones. Nel Ust Wyclef Jean is a Haitian rapper, musician and actor. At the age of nine, Jean emigrated to the United States with his family. He first achieved fame as a member of the New Jersey hip hop group the Fugees. Jean has won three Grammy Awards for his musical work. Jean-Claude Juncker is a Luxembourgish politician serving as President of the European Commission since 2014. From 1995 to 2013 he served as the 23rd Prime Minister of Luxembourg; from 1989 to 2009 he was also Minister for Finances. 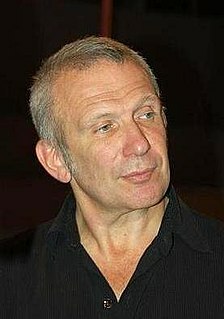 Jean-Paul Gaultier is a French haute couture and prêt-à-porter fashion designer. He was the creative director of Hermès from 2003 to 2010. He co-presented the television series Eurotrash with Antoine de Caunes. Michaëlle Jean is a Canadian stateswoman and former journalist who was the third Secretary-General of the Organisation internationale de la Francophonie from 2015 until 2019. She was the first woman to hold the position and held the position until the end of 2018. From 2005 to 2010, Jean was Governor General of Canada, the 27th since Canadian Confederation. Saint-Jean-de-Luz is a commune in the Pyrénées-Atlantiques department in south-western France. Saint-Jean-de-Luz is part of the Basque province of Labourd (Lapurdi). Wallace Collection were a Belgian pop rock group active in the late 1960s and early 1970s. The following deaths of notable individuals occurred in 2019. Names are reported under the date of death, in alphabetical order by surname or pseudonym.